How you like my doily? That thing took forever to make! 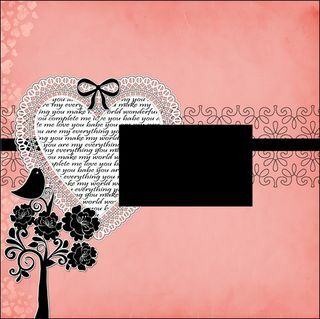 Double page digital Valentine's Day scrapbook layout design available through Memory Mixer. I will soon also have this available through my Etsy store as a downloadable printable.